The brain is complicated in a myriad of ways which complicates researchers' ability to discern why some people are affected by mental illness. There is a significant need to understand mental health conditions better, how they come about and what we can do to treat such conditions like depression, anxiety, and bipolar disorder. Addiction is another mental health disorder that has long puzzled experts; why are some people predisposed to struggle with drugs and alcohol? A correlation exists between substance use disorder and co-occurring mental illness. The connection is apparent in the addiction treatment industry; clients regularly struggle with more than one condition. What’s more, research shows that when co-occurring disorders receive treatment simultaneously, better outcomes are the result. Despite a link being present, science has yet to pinpoint the genetic precursors of mental illness, or why multiple disorders besiege people. If scientists can determine a constant in people living with mental illness, it may one day lead to methods of prevention and treatment. Some researchers theorize that there must be a marker present in the brains of people beset by conditions of the mind, that isn’t present in "healthy" brains. 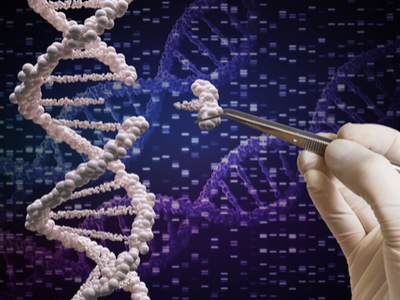 A new study appearing the journal Science reveals some intriguing clues about how genes impact one’s mental health, GIZMODO reports. Researchers analyzed data from previous studies which dealt with the genetic makeup in cadaver brains of people with a mental health diagnosis. The findings indicate many similarities in mentally afflicted minds that were not present in “healthy brains.” However, the research presents some exciting results that are not what you might expect. As was pointed out previously, mental illness often comes in pairs. Patients regularly present with both alcohol and substance use disorder and conditions like depression. Believe it or not, the new analysis showed little overlap between the brains of alcoholics and people with other psychiatric disorders, according to the article. It could mean that depression and alcoholism are not genetically connected after all. The international research team found similar findings in the brains of depressives, whose patterns of molecular activity didn’t line up with brains affected by other conditions. The study did see a congruent molecular signature in the minds of people with bipolar disorder and schizophrenia, which was surprising considering the two mental diseases have inconsistent symptoms. At Whiteside Manor, we can help you or a loved one break the cycle of addiction and start down the road of recovery. If you are struggling with a co-occurring mental health disorder, we are fully equipped to address both illnesses simultaneously. Please contact us today.